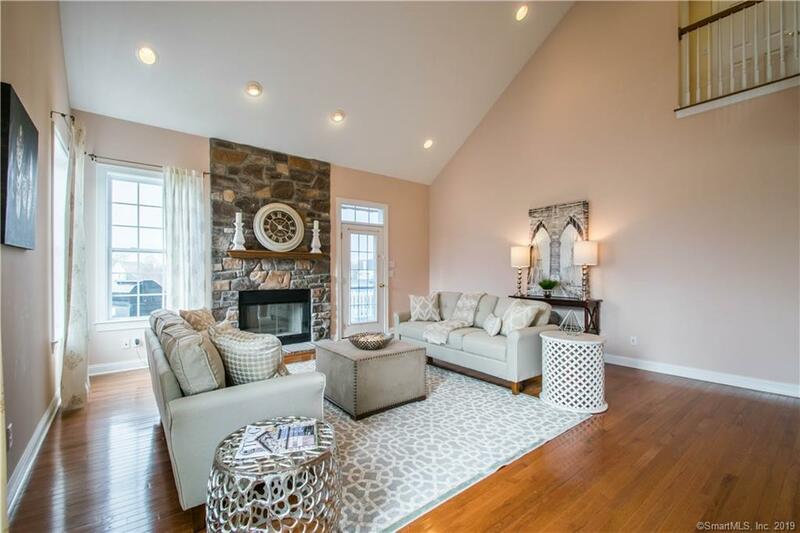 Come see this immaculate home in Fieldstone Farm. The moment you walk in the door, you will be impressed with the grand open floor plan. The master bedroom suite is on the main level and includes 2 walk in closets, and a bonus sitting area. Hunter Douglas custom blinds throughout. Pre-wired for 7.1 home theatre surround sound on on lower level. Pre-wired for home stereo system on entire main level and outside deck area. Watch the sunsets on the expanded deck, with remote controlled retractable awning. The 800 square foot lower level has 9 foot ceilings, a large family room, office, and another room that can be used as an exercise room or gaming room. You can also walk out onto your patio garden overlooking the pond and rolling hills. This private community offers walking trails, a gazebo, and beautifully manicured common grounds.